Monday, May 27th was my last big workout before the taper for Ironman Kansas 70.3. Tuesday I was ready for the taper and was excited to have minimal workouts for the day. I knew I my gratitude for having made it to the taper would be short lived and the taper demon would show up, but I didn’t expect it to show up on day #2 of the taper. 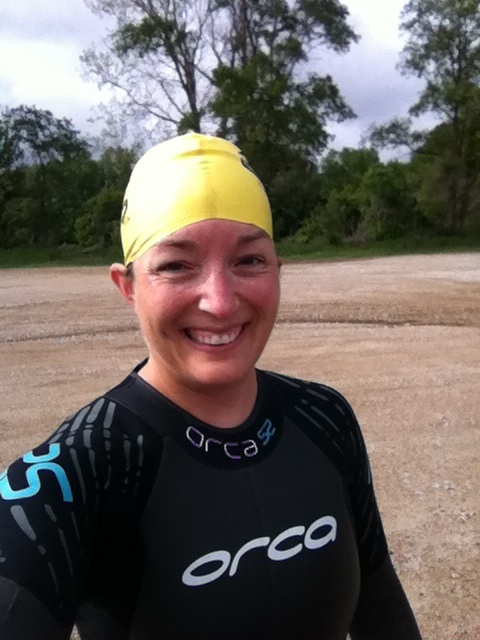 Wednesday, May 29th I was scheduled to do an open water swim (that was my only workout for the day). When the ridiculous Central Iowa weather continued to pound on us, I knew I wouldn’t be swimming outdoors and that taper demon didn’t just show up, but it reared its ugly head!! 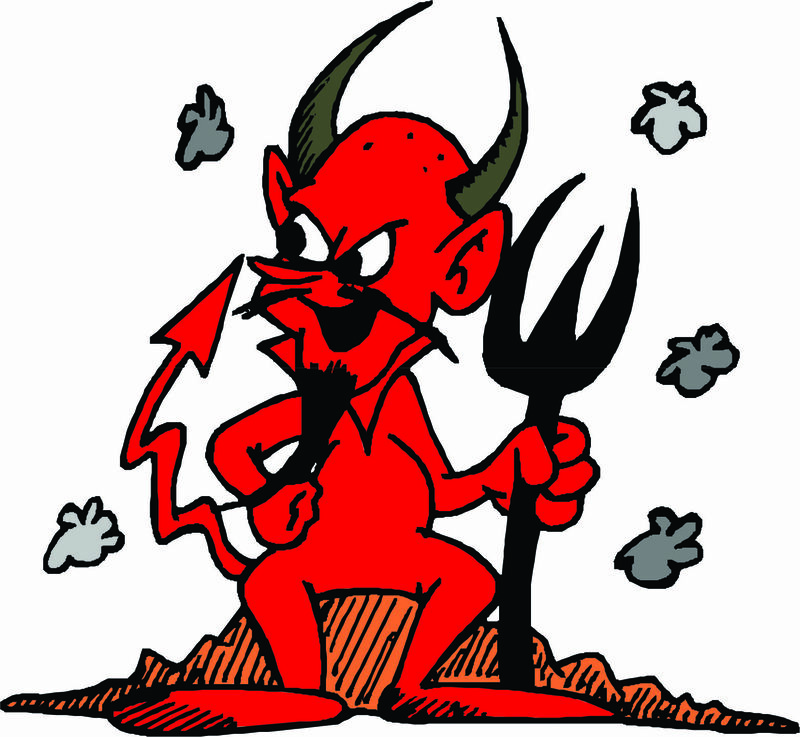 Thursday evening (May 30th) we had a lot of the local runners who have been training for the Dam to Dam race (mostly for the 20K distance) over to our house for a pasta feed, so I didn’t get a workout in on Thursday…the Taper Demon became a little bit uglier. This week the Taper Demon has reared its ugly head even higher…not only am I tapering, but today was my last day of school for the summer. As a middle school science teacher, this means lately I’ve been focusing on finalizing grades and getting my classroom ready for summer, which means putting everything away…including all wall coverings and bulletin board decorations…since there are different summer school classes in my classroom throughout the next couple of months. I look forward to the summer months when I can relax, train for events, recharge my batteries and spend quality time with family and friends…although the current June weather feels more like April in Central Iowa. I can definitely tell that I am tapering and the lack of physical exercise is affecting my attitude…I feel sluggish, lazy, weak, etc…typical taper feelings. I know that proper tapering will allow me to be physically ready for race day, so I am trying to focus even more on the mental training during these taper weeks. 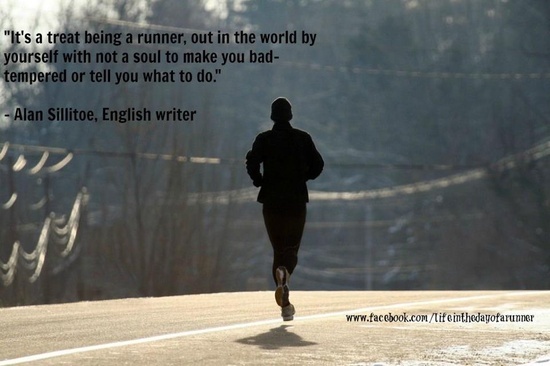 I am definitely looking forward to my race this weekend…and getting the opportunity to Push My Limits!! The alarm clock went off at 3 am Saturday morning for what was going to be a very long day!! We loaded the car and headed to Des Moines for the Dam to Dam races (I wasn’t running the race because of my upcoming half Ironman, but went down to spectate and cheer on MANY friends who were running)…what an early morning…we are use to early mornings, but it seemed really early this morning!! Thank you Mother Nature for all of the rain we have received lately…enough to flood the area around Gray’s Lake and put the running trail under water!! Luckily I have run around Des Moines enough that I was comfortable with a creative route adjustment to get my distance/time in. As I was heading back toward downtown Des Moines and the parking ramp, the sun began to rise…BEAUTIFUL!! 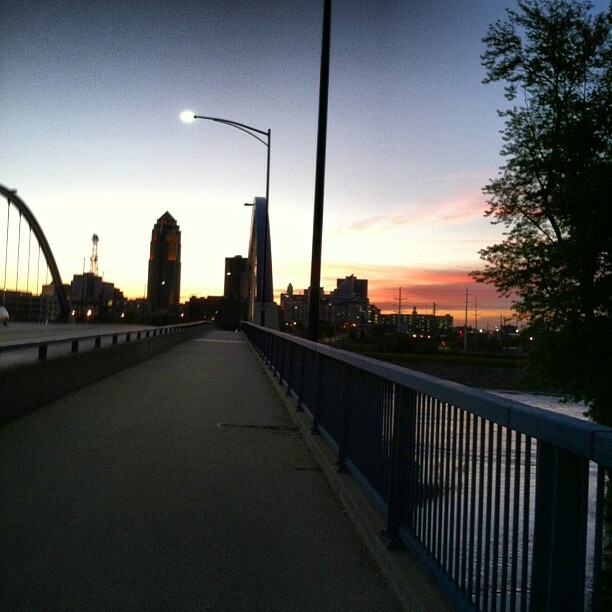 Sunrise over Downtown Des Moines. I made it back to the parking ramp in time to change clothes, rehydrate, hop on my bike and meet Robin at the corner of 6th Ave and High Street at 6 am for our bike ride out to Saylorville Dam to see the race start. We wanted to allow ourselves plenty of time to ride the 12.4 miles out to the dam and not get trampled by the Dam runners running back to downtown!! Mile 1 turned out to be a pretty sweet location for us to watch all of the Dam runners come by!! 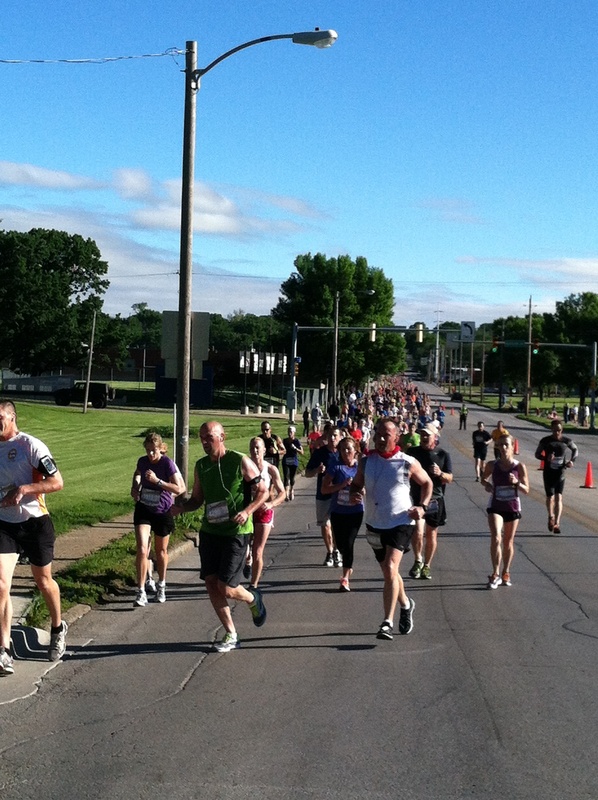 With 8000 participants registered for the 20K, there was a pretty steady stream of runners for nearly 30 minutes. We then donned our bikes and rode back toward downtown Des Moines (via a different route to avoid the congestion of the runners). We stopped at the mile 9+ point of the race course to watch and cheer for the runners for a while. Most of the runners we saw were doing AWESOME!! It was a beautiful morning for a run!! Our vantage point at mile 9 of the 20K race. We waited until about 8:35 am and then headed back toward downtown Des Moines. Robin was running the 5K event at 9:15 am and we wanted to get her back, changed and to the race start in plenty of time!! I headed to the finish area and cheered on/waited for many friends to finish. I am so proud of my dear friend Tonja for finding mental focus and pushing herself to a PR of 1:45:10 today!! Congratulations T you are a ROCKSTAR and I am so proud of you!! After a very full morning and some lunch, we made it back home by about 1 pm, showered, took a nap and then decided to go for an open water swim. In the last couple of weeks, every time I have tried to get into open water we have had severe thunderstorms prohibiting me from swimming, so I had yet to be in open water this year. What started out as a beautiful morning turned into a rainy afternoon, but it was not storming, so we decided to go to The Pits for a swim. The water was not nearly as cold as I thought it would be…I’m guessing mid 60s…it was near perfect water temperatures for the wetsuit. I didn’t swim for long as the skies started to darken and I was struggling to get my breathing under control. With a few more open water swim sessions this week, I will be race ready for Sunday!! Getting ready to immerse myself into the water for my first open water swim of the year. 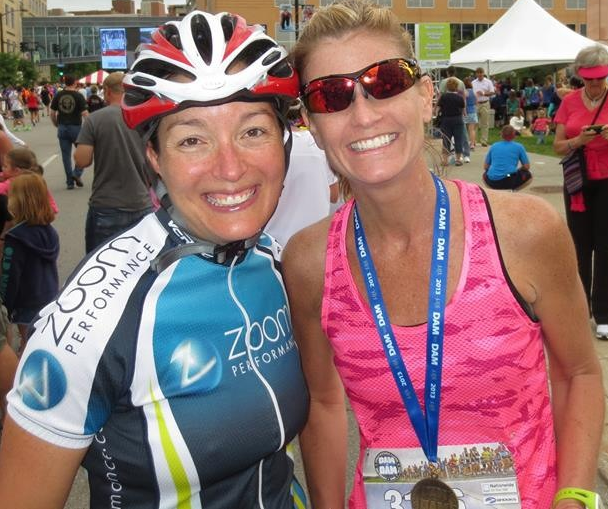 As I emerged from the water, a rainbow had recently formed off to the east…what a perfect end to my reverse triathlon!! This week I have worn shoes to work that have a higher heel than what I normally wear. WOW…my feet, calves and legs have been feeling the change!! This morning when I woke up and stepped out of bed, my feet were a little achy. I knew it was from the unsupportive shoes I have worn to work this week, so today I decided I was wearing my running shoes to work. 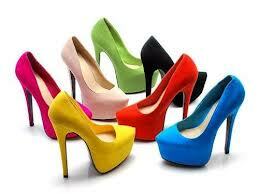 I know high heels are bad for runners. High heels shorten the achilles and the calf muscles (both the soleus and gastrocnemius), which reduces the natural elasticity of them. This also affects the hamstring, which is the engine we use while running. When we run, our quadricep muscles are similar to the car and the hamstring muscles are the engines that propel us forward. When we shorten our achilles and calf muscles we make it much more difficult for our hamstrings and glutes to engage, costing us more energy and making us less efficient runners. I wouldn’t dare wear anything this high ever!! I’d end up breaking a leg trying to walk in something like this!! High heels prevent dorsiflexion of the ankle (dorsiflexion = pulling the toes toward the shin), which reduces hip extension and stride length. As a runner, this position also hinders your ability to push off with your calf, hamstring and gluteal muscles. When our calf, hamstring and gluteal muscles are not able to properly fire while running, we run the risk of altering our gait and injury. While high heels are fashionable, I’ve decided functional is more my style. I don’t want to sacrifice my full potential as an athlete for a little fashion!! This is more my style!! Much more functional…even if they aren’t very fashionable!! 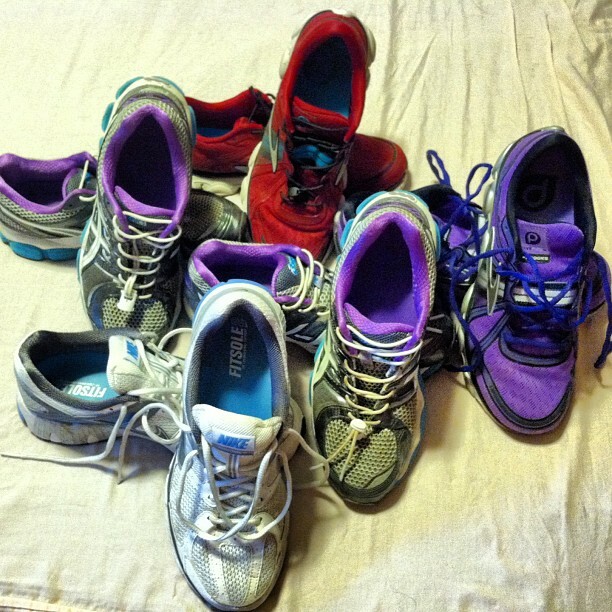 This begins one of my favorite times of the year…Coaching Team 12.4 runners…the spring weather is an added bonus!! Almost every Saturday, I show up early and run on my own as a warm-up before running the scheduled distance for the Team 12.4 runners. This last Saturday morning, Team 12.4 met at Lloyd Kurtz Park for their first 4 mile run. 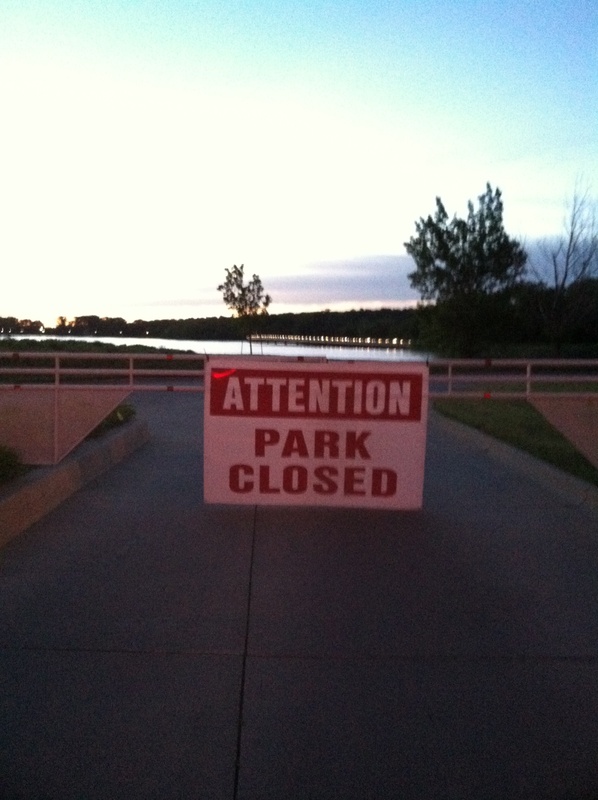 During my warm-up, I decided to run from Lloyd Kurtz Park to Ada Hayden, run the figure 8 through the park and run back to the park. This gave me about 5 miles prior to meeting up with the rest of the group. During this portion of my run, I was in my own head and really able to focus on the purpose of this run. Despite the light drizzle and the 40 degree temperatures, this was sure to be an amazing run!! 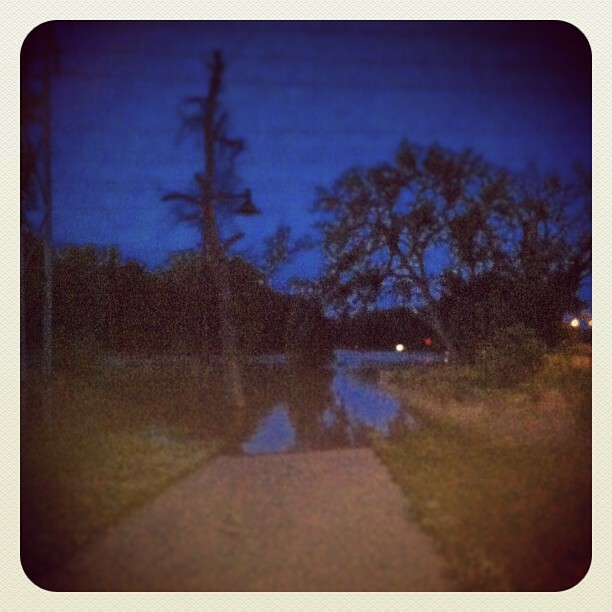 What will I encounter tomorrow morning while running in solitude??? Nature…peace…focus…time for mental training…the possibilities are endless! !